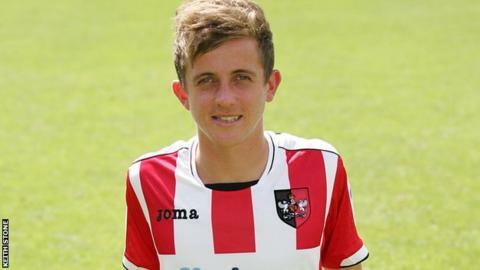 Exeter winger Elliott Frear has joined Salisbury City on a month's loan. The 22-year-old has made 16 appearances for the League Two side since coming up through the club's youth ranks. He has made four substitute appearances this season and last started a game for City in March when they lost 3-1 to Wycombe in League One. Frear has previously had a loan spell at non-league Tiverton Town and signed a new contract at St James Park at the end of last season. He will be available for Salisbury's Blue Square Bet South match against Hayes and Yeading on Tuesday.